Pico Paso - ishotjr.com - Put a little mustard on it! 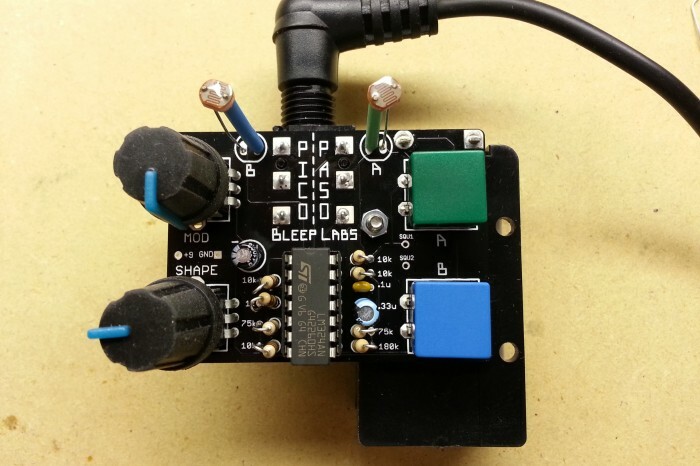 The Pico Paso kit allows even novice makers to build their own functional synth, with oscillators and knobs and cute little photocell antennae that control pitch (for a crude Theremin-like effect!). Assembly is a doddle, despite the somewhat hastily-written instructions – I was up and running within about 20 minutes. The only slight scare was when it initially failed to make any sound upon plugging into an old guitar amp after assembly – turns out that the Shape knob was just too far in one direction to make any noise – as soon as I realized this, all kinds of exciting buzzes and screeches started reverberating throughout the house! My small disappointment with the kit was that it only accomplished one of my two goals: I had hoped for a synth kit that was simple enough for me to assemble and understand. It was very simple to build, but the “educational” aspect was a little lacking – even with the inclusion of schematics and PCB layout, I didn’t feel as though there was adequate explanation of how it was that all these little components were making these cool sounds, especially for a kit aimed at beginners, who are unlikely to be able to interpret schematics and such. 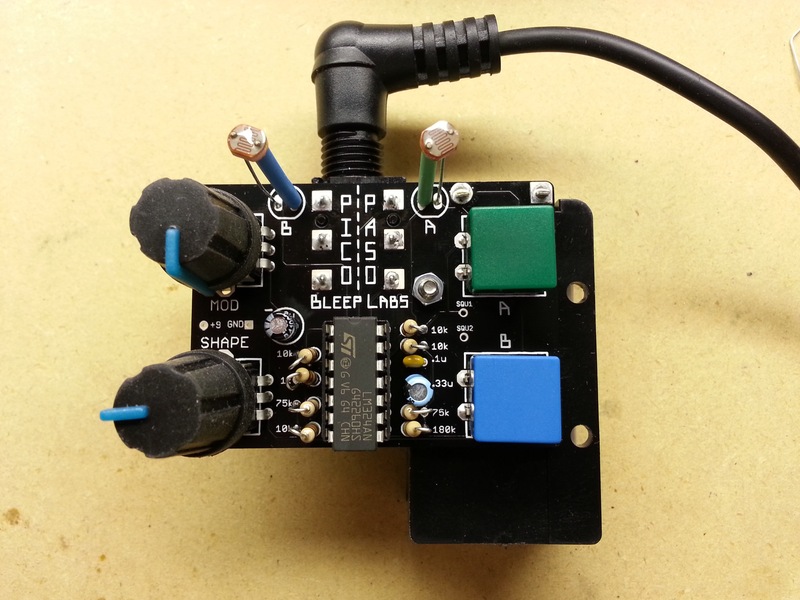 Regardless, I’m very pleased with the kit, and plan on checking out more kits from Bleep Labs!